Rabbis lament 'spiritual holocaust' as conference presents troubling figures on assimilation, restrictions on Jewish practice. 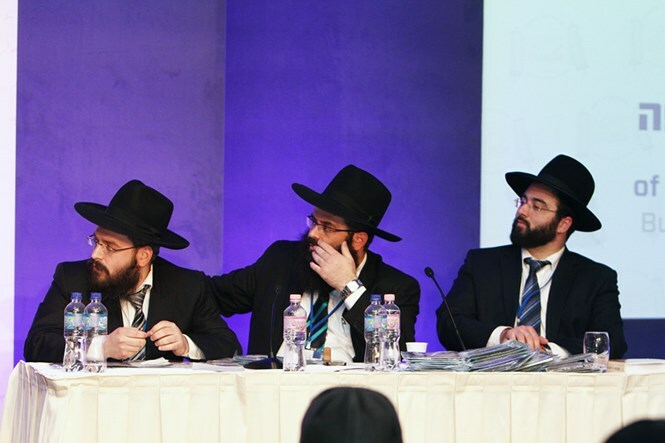 Over 300 rabbis from 40 European countries gathered in the Hungarian capital of Budapest last week to discuss, among other things, the wide-spread phenomenon of assimilation threatening the continued existence of their Jewish communities. 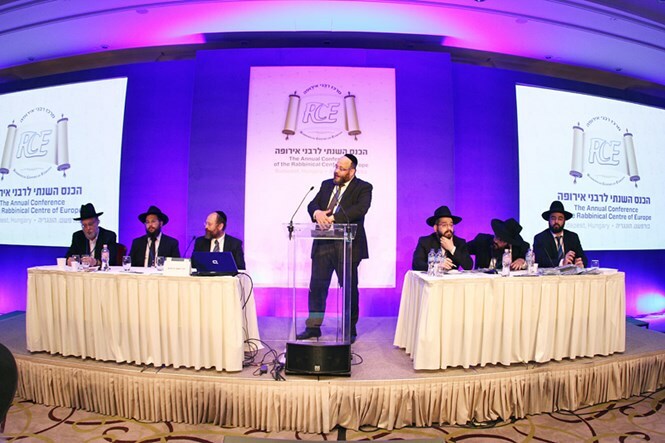 The conference was organized by the Rabbinical Center of Europe (RCE), considered the most important and active rabbinical organization in Europe, and included a memorial ceremony marking the 70th anniversary of the murder of the Hungarian Jews by the Nazis. 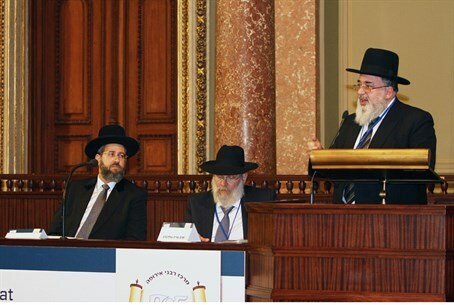 Chief Rabbis David Lau and Yitzhak Yosef also attended the conference. 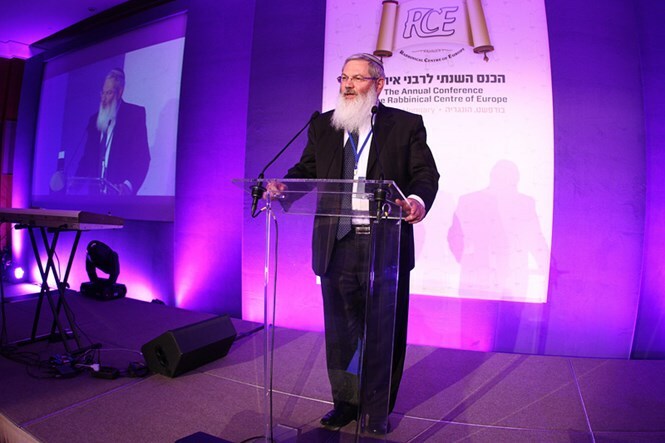 Rabbi Menachem Margolin, Director General of the RCE, presented some troubling statistics gathered by the organization at the conference. According to RCE's research, over 85% of European Jews assimilate and intermarry with non-Jews; 80% do not attend synagogues, even on the central holiday of Yom Kippur; over 75% of Jewish children in Europe do not receive a Jewish education, and over 90% of European Jewish students have no connections with the Jewish community. The sobering figures led Rabbi Shimon Elitov, a member of the Israeli Chief Rabbinate Council, to say "assimilation in the shocking numbers that we see is worse that the physical Holocaust that we saw." In order to provide European rabbis with tools to respond to the threat, Rabbis Moshe Braverman and Doron Kornbluth ran a workshop at the conference to give pointers on how to deal with the phenomenon. Aside from the troubling question of assimilation, the rabbis debated methods of confronting European bans on shechita (ritual slaughter) and brit milah (circumcision), in addition to other challenges facing Jews in Europe who are trying to maintain a lifestyle in accordance with Jewish law. "We will fight so that there won't be a single Jewish boy in Europe who doesn't have a circumcision," said Rabbi Barel Lazar, Chief Rabbi of Russia. "I certainly think we can call the opponents to brit milah and shechita anti-Semites. They may wear new and fancy clothes, but what they're trying to do is to remove Judaism from the Jews." "In the Holocaust they killed us by force, through murder, but they understand (now) that it didn't work," continued Rabbi Lazar. "today they try to murder our souls. Our goal is to build anew the Jewish community of Europe to be stronger." Deputy Religious Services Minister Eli Ben-Dahan presented a different counter-measure to the difficulties of Jewish life in Europe, calling on European Jews to leave and immigrate to Israel or face disappearing. In contrast to the 85% assimilation rate, Ben-Dahan argued that in Israel the rate is a mere thousandth. Many European Jews have already been taking the path of aliyah (immigration); since the start of 2014, 854 French Jews have immigrated to Israel, marking a 312% rise from a similar period the previous year.